(SPANISH HOUR). AT THE RIGHT SIDE OF THE VOTES YOU CAN SEE A BLUE DOOR. TAKE YOUR PHONE AND RECORD THE PROCESS. WE EXTRACT NORMALLY 15ML OR 25ML FROM A NEW SEALED BOTTLE. NEW BOTTLES: TOTALLY NEWS AND ORIGINALS. AT THE RIGHT SIDE OF THE VOTES YOU CAN SEE A BLUE DOOR. TAKE YOUR PHONE AND RECORD THE PROCESS. Jimmy Choo Flash fragancia de la familia floral para mujeres lanzada en 2013. Aroma para mujeres modernas y seguras de sí mismas. Notas de salida: Fresa, Mandarina, Pimienta Rosa. Notas de corazón: Nardo, Jazmín, Lirio Blanco. Jimmy Choo Flash 100ml Eau Du Parfum EDP Spray by Jimmy Choo. If the image doesnt look right dont worry, you will receive the item specified in the title. JIMMY CHOO. Marke Jimmy Choo. Eau de Parfum. Produktart Eau De Parfum. Serie Flash. Una colección de bienes queda excluida. JIMMY CHOO EDP FLASH 60ML. Launch date. Powdery Woods. Base notes. Eau De Parfum Natural Spray 60ml. Jimmy Choo Flash. Jimmy Choo Flash Eau de Parfum 60ml Spray Para Ella-Para Mujer Edp-nuevo. Jimmy Choo design house launched Flash in 2013 as a floral fragrance for women. Flash notes consist of strawberry, tangerine, pink peppers, white lily, jasmine, tuberose, heliotrope and white wood. Unwanted gift. Condition is New. You can now have head to toe Jimmy Choo glitz and glamour, with the glittery shoes, the handbag and now the fragrance to complete the party look. Get ready to dazzle and set the night alive. Sparkles of pink pepper, tangerine and strawberry introduce a 'Flash' of white flowers and tuberose to this eau de parfum fragrance. Jimmy Choo Flash Eau de Parfum 100ml Spray - For Her. The differences are the amount or the concentration of oils that are in the scents. The higher the concentration of oils, the longer your scent will last, and the less you should need to apply. jimmy choo flash perfume 60 Ml. Condition is New. Dispatched with Royal Mail 2nd Class. Jimmy Choo Flash Eau de Parfum 40ml Spray. Este artículo se vende con el 22% de IVA incluido. Productos indicados como "Para desguace o que no funciona " se venden "tal cual",sin ningún tipo de garantía. Jimmy Choo Flash Eau de Parfum 60ml Spray. Este artículo se vende con el 22% de IVA incluido. Productos indicados como "Para desguace o que no funciona " se venden "tal cual",sin ningún tipo de garantía. Jimmy Choo Flash Eau de Parfum 100ml Spray. Este artículo se vende con el 22% de IVA incluido. Productos indicados como "Para desguace o que no funciona " se venden "tal cual",sin ningún tipo de garantía. Terrybly Densiliss Blush 2 - Flash Fiesta 6Gr. Flash by Jimmy Choo Eau De Parfum has sparkle and glamour with a flash of florals and powdery woods. 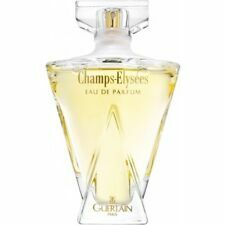 Top Notes: Strawberry, Pink Pepper, Tangerine, Heart Notes: Tuberose, Jasmine, White Lily, Base Notes: Woody, HeliotropeBenefits. Jimmy Choo Flash Eau de Parfum 60ml Spray - For Her. The differences are the amount or the concentration of oils that are in the scents. The higher the concentration of oils, the longer your scent will last, and the less you should need to apply. Jimmy Choo Flash Eau de Parfum 40ml Spray - For Her. The differences are the amount or the concentration of oils that are in the scents. The higher the concentration of oils, the longer your scent will last, and the less you should need to apply. Aroma de flores frescas de dulce con el verano. Marke Al-Rehab. dentro Deutschl y. What you see in the pic is what you will receive. Plata LBF y belleza Flash 3 3 3 ml. Anzahl der Einheiten 0,09. EAN 8027096100362. Marke L Occitane. Jimmy Choo Flash 60ml EDP 50% left no lid. Condition is Used. Dispatched with Royal Mail 2nd Class. CHRISTIAN DIOR EAU FRAICHE EAU DE TOILETTE 100 ML SPRAY. CHRISTIAN DIOR DOLCE VITA EAU DE TOILETTE EDT 100 ML SPRAY.